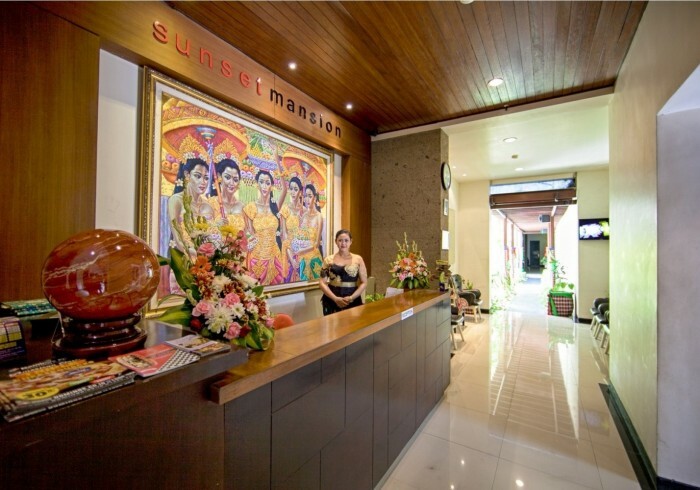 THE SUNSET MANSION SEMINYAK reserves the right to-refuse acceptance of any reservation(s) if the room(s) requested is unavailable at the time of reservation. Maximum 2 Children under 10 years old sharing with adults in the same room and using the existing bedding. Should an extra bed is required;please refer to the "Extra Bed" rate Terms & Conditions according to each Hotel policy. Either party without penalty or liability in the event of acts of God, government regulation, fire, flood, and earthquake to provide the facilities or hold the function, upon written notice to the other party specifying such case, may cause this agreement. The client may postpone the event as per the date and venue agreed by both parties. The Hotel / Villa shall not be held responsible for any loss or damage arising from any circumstances beyond control. This includes but is not limited to war, riots, insurrection, act of God, natural catastrophe or any illegal acts. Situated in the most Bali’s ultra stylish Seminyak, is area on the west coast of Bali just north of Kuta and Legian. Just 25 Minutes from “Ngurah Rai” International Airport. The high end shopping area combined with many fine eating establishments as it has rapidly one of the well known tourist area on the island such as KuDeta, La Lucciola, Hu’u and Livingroom .The Sunset Mansion Bali is tropical retreat that invites seasoned traveler to experience each day as it slowly evolves. From the soft whisper of morning breeze, to the tropical noonday sun and topping it off with a romantic rendezvous beneath a star studded night sky.The Sunset Mansion Bali is not merely a place for lodging; but rather, a heaven for those who wish to break from their mundane routines and rediscover their inner soul from the total relaxation they will find here in an unforgettable getaway, our guest service assistant will be pleasant to explain more about the Island of Bali, its culture and more places of interest nearby.